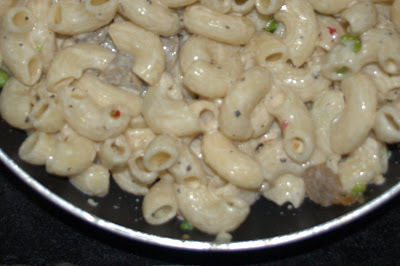 Cook and drain macaroni and keep it aside.You can cut the sausages as per your desired size. Heat some olive oil in a pan and saute garlic, sausages and peas. Season them with salt (be careful with salt as sausages already have salt in them),pepper,basil and chilli flakes. Once done,mix macroni and keep aside. Heat butter in a pan and add flour. 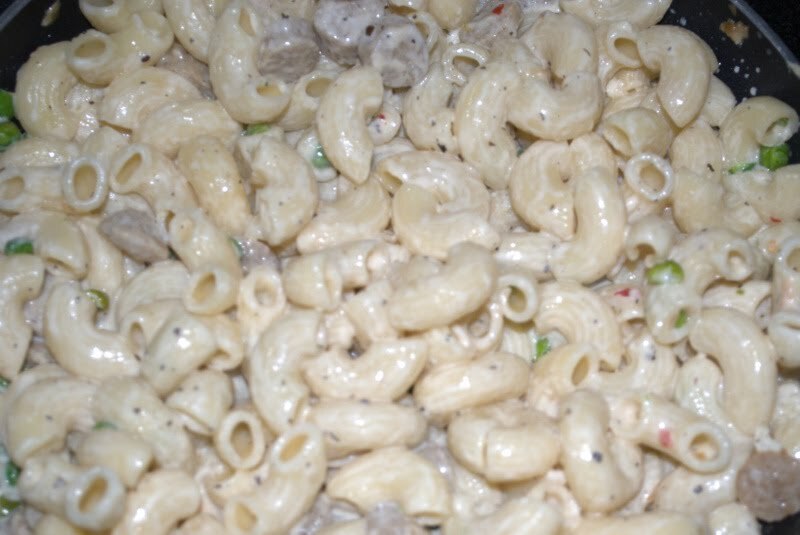 Pour milk and take care that there are no lumps found (If there are any lumps, take the pan off the stove and mix the mixture briskly until you get a smooth flow). Add some cheese to the boiling sauce and allow it to melt. Viola your sauce is ready. Mix all the ingredients and serve hot.